Heroes Community - Will Vivendi acquire Ubisoft and Gameloft? Heroes Community > Heroes 7 - Falcon's Last Flight > Thread: Will Vivendi acquire Ubisoft and Gameloft? Edited by Galaad at 15:31, 30 Nov 2015. Slowly but surely, Vivendi is trying to get back into the video game industry. After selling back its stake into Activision Blizzard in 2013, the company is looking at another video game giant � Ubisoft. Here�s a quick recap. Ubisoft is one of the biggest game developers and publishers in the world behind popular franchises, such as Assassin�s Creed, Far Cry, Tom Clancy games and more. Gameloft is a successful mobile developer that copies popular gaming licenses and port them over to iOS and Android. On October 14, Vivendi announced that it had bought 6.6 percent and 6.2 percent of Ubisoft and Gameloft, respectively. But that was just the beginning. One week later, the company announced that it owned 10 percent of each company. As of today, Vivendi owns 17.34 percent of Gameloft, representing 15.34 percent of voting rights. It also own 10.81 percent of Ubisoft. In many ways, Vivendi is acting like an activist investor, buying shares on the public market to gain board control. In particular, Vivendi isn�t negotiating with other Ubisoft shareholders and members of the management team. And guess what � they�re angry! The Guillemot brothers founded both companies and they still own a significant chunk of both. Yves Guillemot heads Ubisoft, while Michel Guillemot heads the other. They want to prevent a Vivendi acquisition. For now, Vivendi and the Guillemot family are fighting using public statements. In short, Vivendi is saying that it doesn�t exclude acquiring a majority stake in both companies, and the Guillemot brothers are saying that they don�t want that. As a temporary fix, the Guillemot brothers increased their stake into Gameloft. They now own 15.64 percent of Gameloft, representing 24.18 percent of voting rights. It makes it a bit harder for Vivendi to grab control of the board. But increasing their share in Gameloft was easy as the company is only worth $520 million while Ubisoft is worth $3.1 billion. Eventually, it will be hard to stop Vivendi if it really wants to acquire Ubisoft. As a reminder, Vivendi owns Universal Music Group, Canal+, Dailymotion and has a lot of cash due to recent operations. In particular, Vivendi recently sold SFR, a telecommunications company. The Guillemot brothers are waiting for a white knight, a company with deep pockets that would work with Ubisoft�s and Gameloft�s management teams to acquire a significant stake in both companies and stop Vivendi. But it�s been a few months already, and there is no white knight in sight. i'm behind the vivendi power grab. ubisoft, unless you want to be completely absorbed and everyone in your company fired, i suggest you bend to my demands specifically regarding the heroes franchise. if you do not, your empire will end. this i promise. this is your final warning. Edited by phe at 15:46, 30 Nov 2015. Anyway it's still French. Could it be good? Edited by Maurice at 15:47, 30 Nov 2015. "This is your last chance, UbiSoft. Give us a better Heroes or die". That kind of stuff? Edited by alcibiades at 16:00, 30 Nov 2015. It's hard not to feel somewhat smug reading this. I guess we should remember that there's no guarantee in an unknown future, but on the other hand, how many times have we not thought that any future would be better than what we have now? hey, the french make croissants, and they're good. i never said die. but in the afterlife i'll be feeding them to my hellhounds. unless, of course, they bend like a reed in the wind. 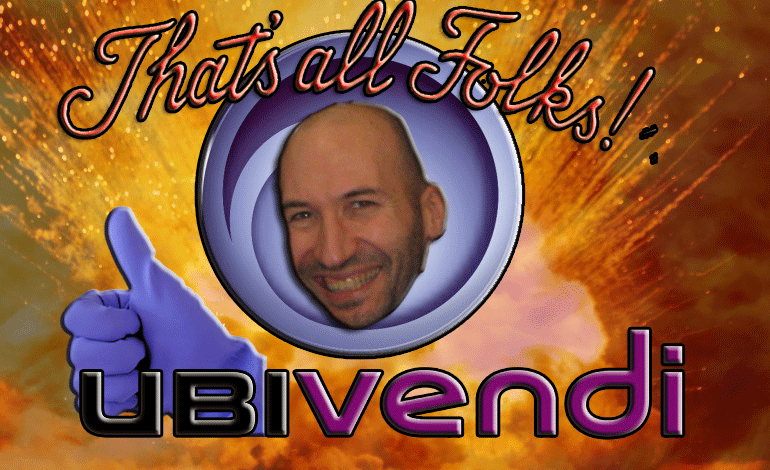 I doubt Vivendi will have anything to do with Ubisoft in the end. I find it more likely they started the hostile takeover to increase the stock-price and will sell their share making good profit. If they do really get to gaming business seriously I guess only direction they can go is up given the quality of Ubisoft products... So a win/win -situation! Idk what to say about it all at this moment. But I would sorta like to see a "what goes around, comes around" and have all work and effort towards h7 (including ashan) scrapped. Like they did with NWC heroes 5. Sounds like a fitting end to the way it all started. what gets me, is that ubisoft makes the assassin's creed and far cry games(both of which have great graphics), and we're stuck with warcraft knock-offs for heroes. some of their scenery has gotten better, but the games' units still look like early 2nd-generation 3d, ffs. it's way too early yet, but i look forward to see if vivendi will change anything heroes-related, should they take over ubisoft entirely. god knows someone needs to. snow "ubisoft's white knight", where the snow is ours? Okay, so this is good, right..? where is that thing that embodies everything I feel about this? Ah, yes!! There it is! I am really indifferent I mean Ubisoft is not doing a great job handling its franchises now, and honestly I doubt that will change if Vivendi takes over. I don't expect anything. The only sure thing is that they'll do something with the franchise that will give them profit. What is it going to be? I guess we need to wait. If it makes an impact on Ubi, it will be a poetic justice. Even if a minor impact. The sad part is Ubi's mistakes are not confined to HoMM, every game they have released recently has been a rushed, half-formed, bug filled disappointment. Some get fixed eventually, while others are left for the whole world to enjoy au naturale. In my opinion, Vivendi could not make the situation any worse so any change at all is a good thing. Especially if it annoys the higher ups in the company.